that we enjoy as a family for dinner. 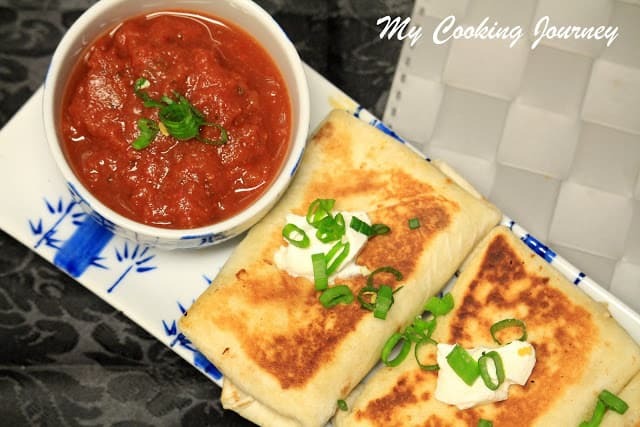 I am redoing old posts this week and this post really needed some good pictures as my old ones were not justifying how delicious the recipe is. 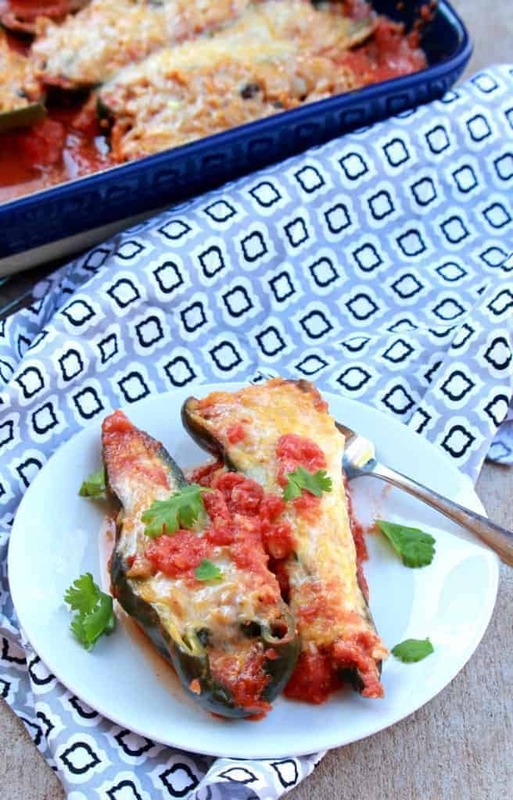 My husband loves stuffed Poblano served as Chile Rellenos in restaurants are usually breaded and deep fried. 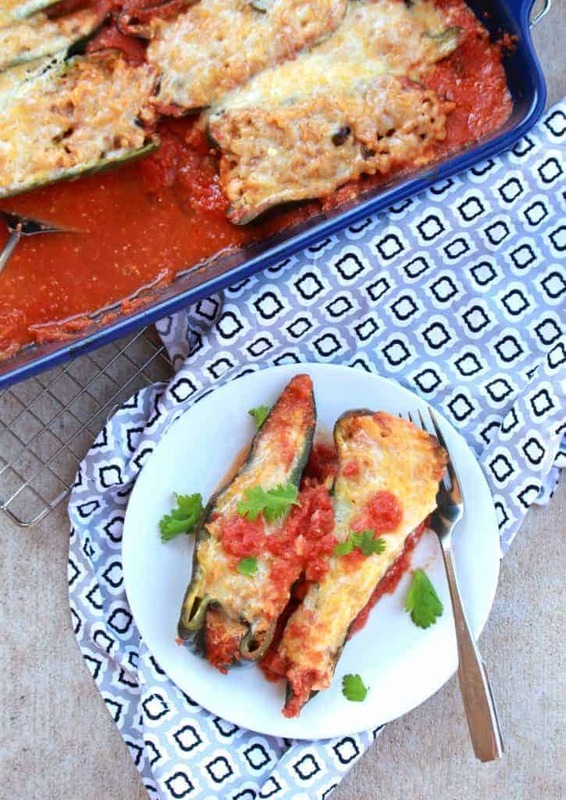 There are few restaurants where we get lucky and get the vegetarian Chile Rellenos that is stuffed just with cheese. The restaurants ones are so greasy and many times he passes it off. This recipe was made just for him and now it is our family’s favorite casserole dish. I was a little worried about how my little one will take the idea of stuffed peppers, but surprisingly he did great and in fact mentioned that he loves it. 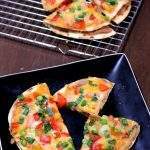 This recipe is very filling as a dinner and pairs beautifully with sweet corn and pineapple salsa on the side. 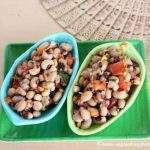 Since the recipe already has rice and beans stuffed in it, there is no need to serve them on side. 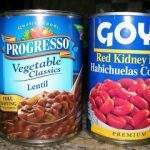 Also instead of rice, you could stuff them with cooked quinoa or any other whole grain of your choice. 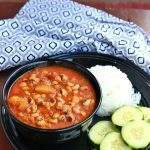 Initially I used to make the rice and beans as a dish together, but lately have been layering them individually. The poblano peppers are quite mild, but I would still deseed them. 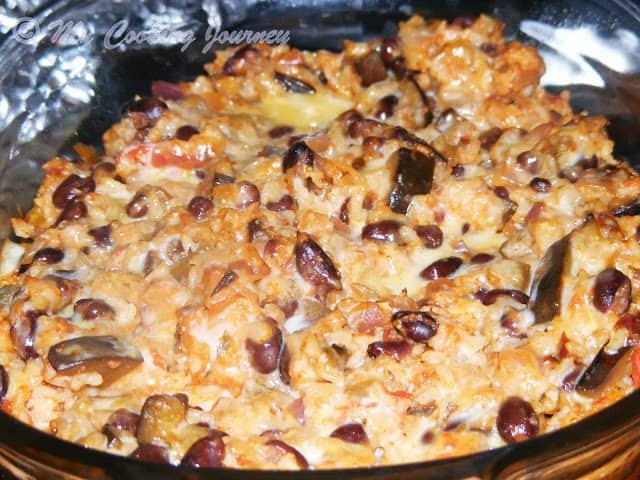 I use Mexican rice to stuff inside as it makes it much more flavorful. 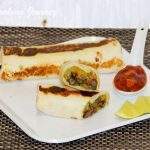 If you are looking for more vegetarian Mexican dishes, make sure to check the Chimichanga recipe. 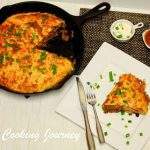 Also check out the Spinach enchilada casserole which is yet another favorite of ours. In a pan, heat 2 tsp of oil. Add the chopped onions and sauté until translucent. Now add the minced garlic and fry for one more minute. 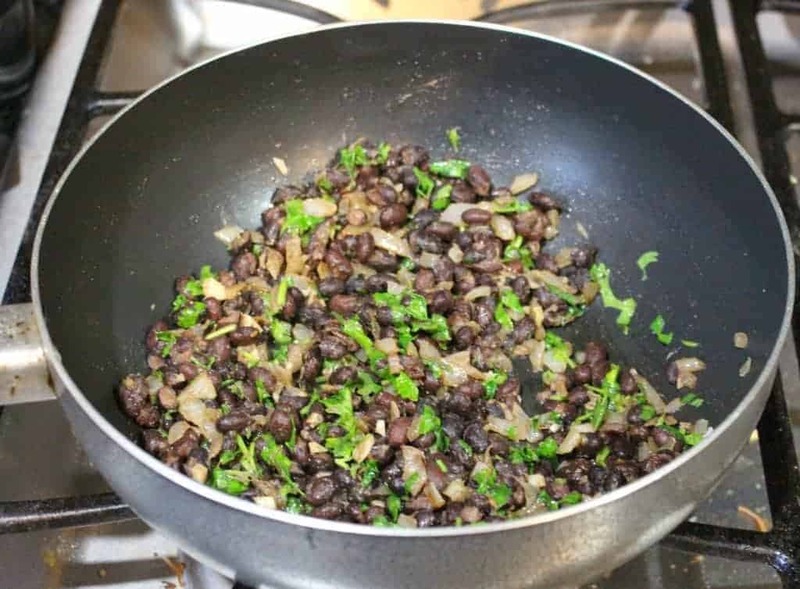 Now add the drained and rinsed black beans to the pan and mix well. Also add ground cumin and the chili powder and give it a stir. Finally add the chopped cilantro and turn off the flame. Keep it aside until ready to assemble. In a blender, add all the ingredients listed under the sauce and puree them. If you prefer spicier sauce, leave the seeds and ribs of the jalapeno intact. If you prefer a milder sauce, remove the seeds and the ribs from the jalapeno and then add it to the blender. 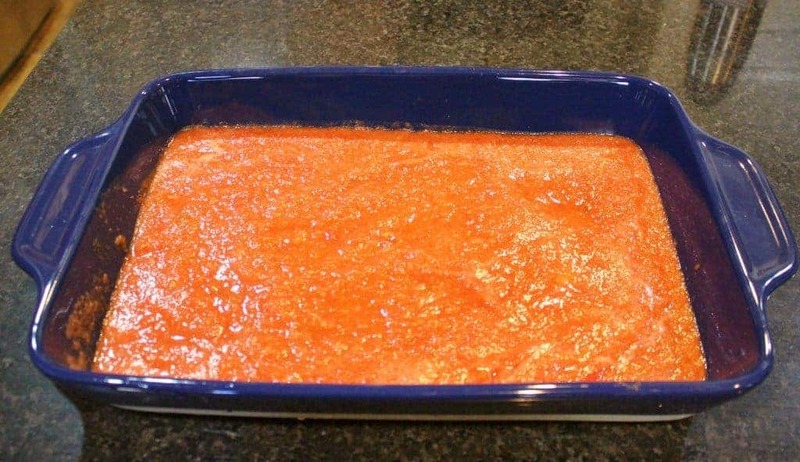 Pour the sauce in to a 9 x 13 baking dish. 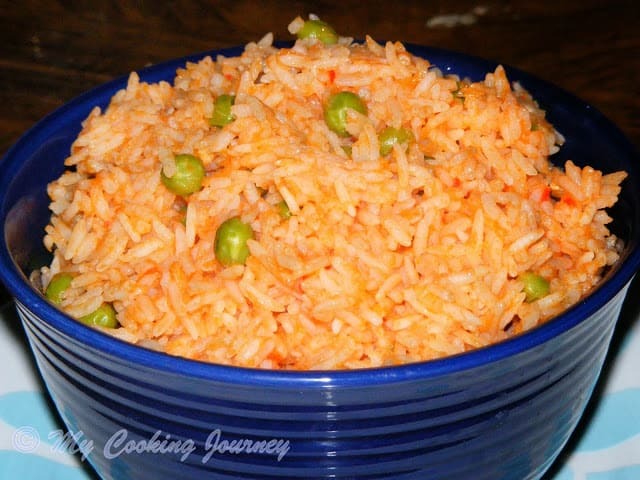 Prepare the Mexican rice recipe or make any of your favorite packaged Mexican flavored rice and keep it ready. 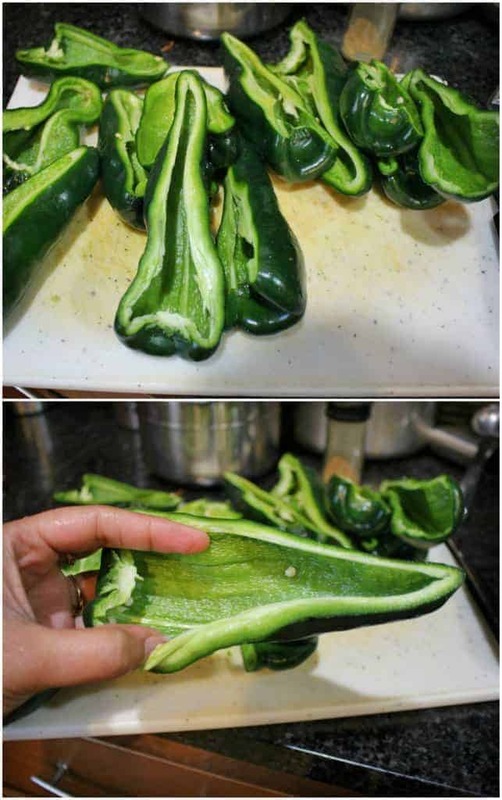 Clean the poblano peppers and cut each of them vertically into 2. Remove the seeds and the ribs carefully. Repeat this with all the peppers. Get the rice, beans and cheese all ready to be stuffed. Working with one half of the pepper, spread a layer of beans. Then top it off with rice. Make sure that the peppers are stuffed well without much empty space. 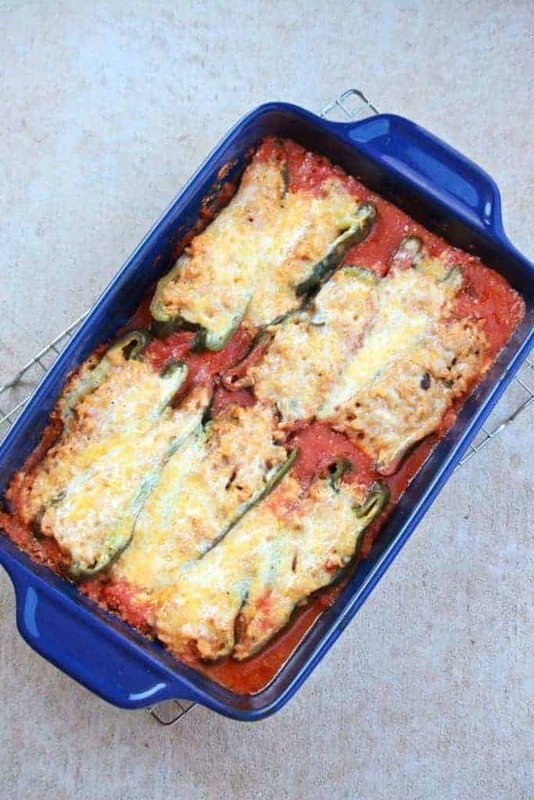 Place the stuffed peppers onto the baking dish that is layered with the sauce. 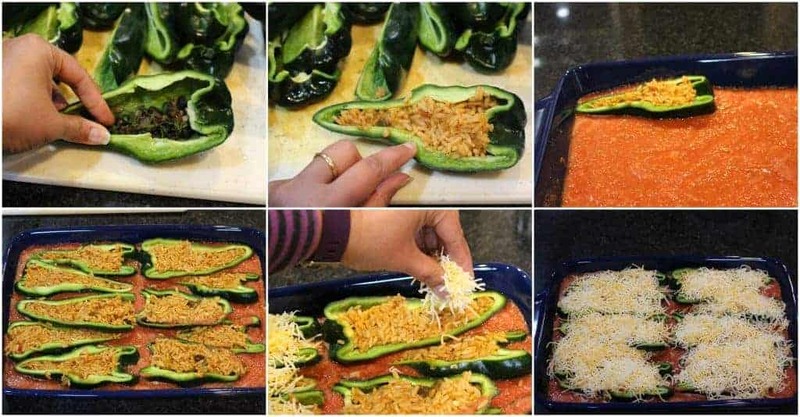 Once the peppers are all stuffed and placed in the pan, spread the cheese over the peppers. Wrap the baking pan with aluminum foil wrap and place it in the oven. Bake at 425 F for about 45 mins or until the peppers are soft and tender. Now open the aluminum foil and cook for some more time until the sauce thickens up and the cheese is browned on top. 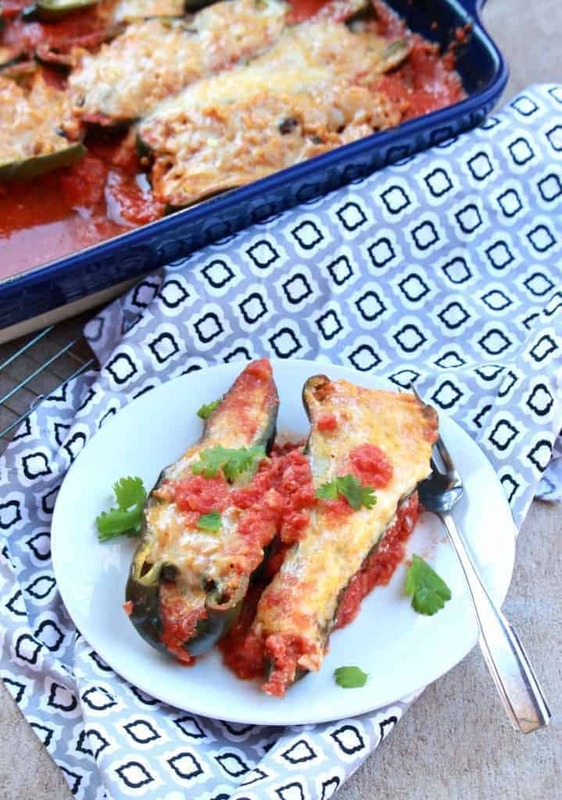 Wow, my mouth is just watering here, those stuffed poblanos peppers are seriously alluring. Too tempting. 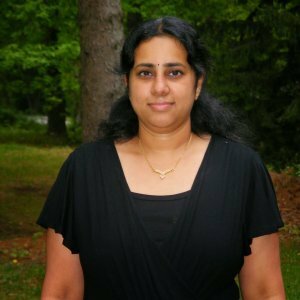 wow, sandhya that looks amazing!!! that cheese and the stuffing, oh yummm! 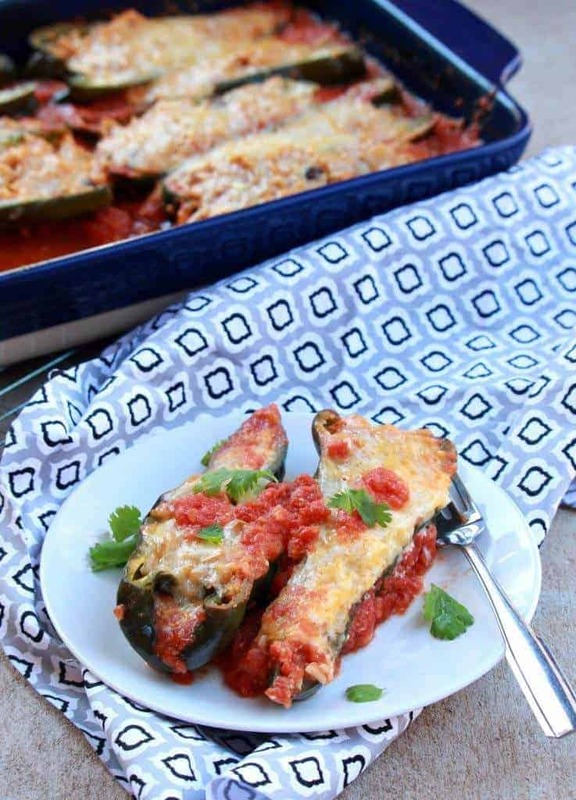 Stuffed peppers are a weekly meal in our house, and these look amazing. I love ordering Chile relleno too and like you said it’s way too greasy and cheesy. I’m loving your Mexican rice filling and that cheesy topping. Will have to try this for my family. 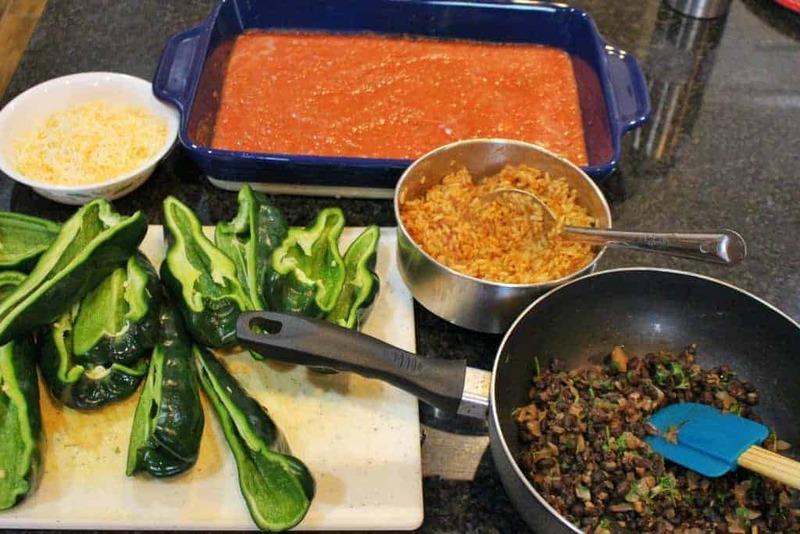 Stuffed poblanos are so versatile one of my favorite meals indeed. Me being Mexican this casserole is bringing me so many good memories as my mom was used to make something similar but cream, cheese and rice based. Stuffed peppers are fun any night of the week. Unfortunately we don’t have the luxury of getting a nice variety of peppers. I have seen poblanos a few times, and will look for them next time I am at the grocery store. These look delicious. Oh this looks incredibly delicious. 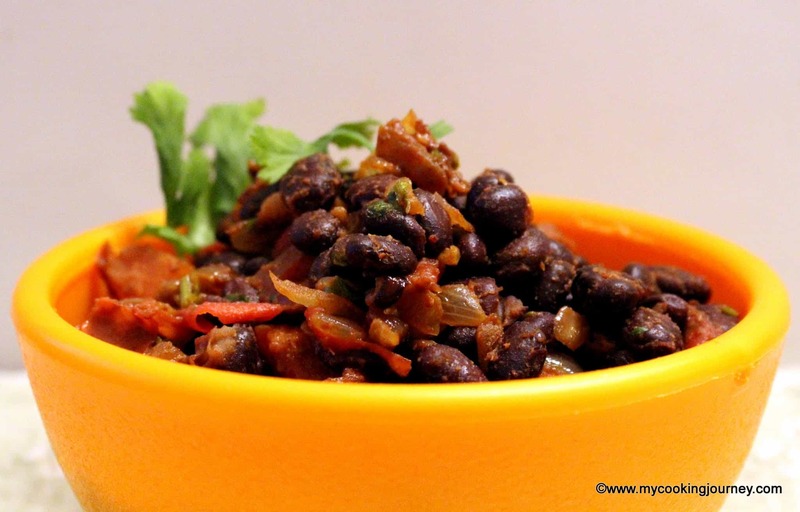 Love the tomatoes and love that you used black beans in this. I Love black beans! This looks like some work but definitely worth it in the end..Sounds so delish. I love how you cut them in half first and then stuff them. We’ve been keeping them whole but they look more attractive open. And I’ve been doing the same — going back to old posts and updating them a bit. I’ll have to try your method of stuffing peppers. Your stuffed peppers look fantastic!! This would be a hit with my family…Yum! I’m alright with anything that calls for stuffing peppers with cheese! They look delicious! I know what you mean about updating photos. I had to do some photo updating too and still have a bunch to do. Your stuffed poblanos pepper looks delicious, that too really easy to put together. I usually roast them in the gas stove remove their skin. Hubby and I love poblano peppers! This sounds like a delicious meal! I can’t wait to make it!